A perfect set of tiles for your pixel art game! All done in 8x8 pixels, using a gameboy color palette. I've waited eons for your appearance, Mastercoldrice. 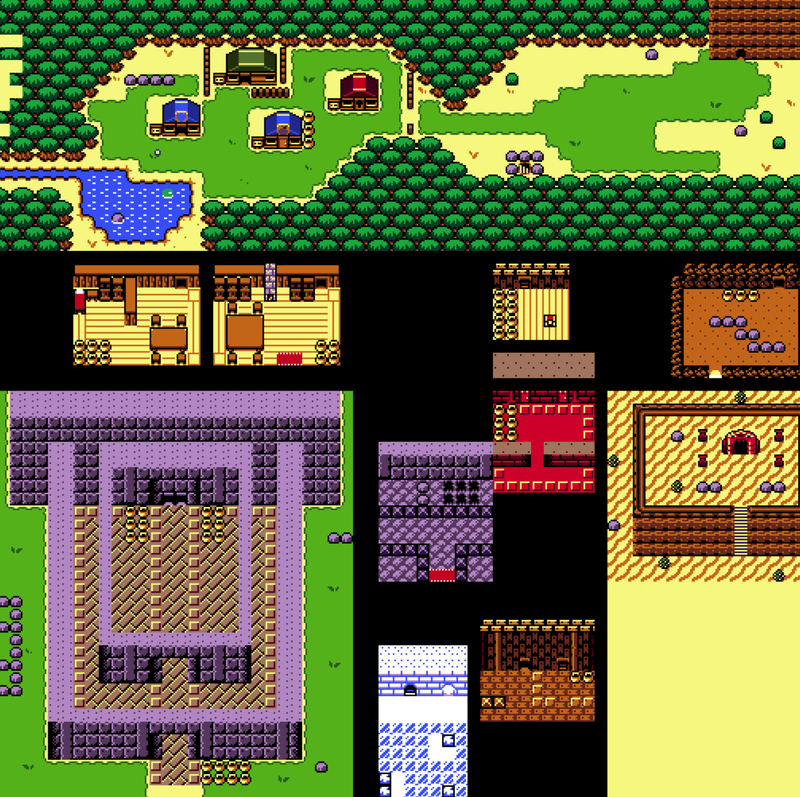 I found your gameboy-styled tiles a year or two ago and they helped me greatly. These ones are wonderful as well. Have a money! EDIT: These are the same tiles I found. That's cool, though, now I have license to use them! awesome! Thanks for sticking with me. I have a lot of sprites I'd like to post in the coming months!